Dazzle Dry have taken yet another step forward with its first ever celebrity collaboration. 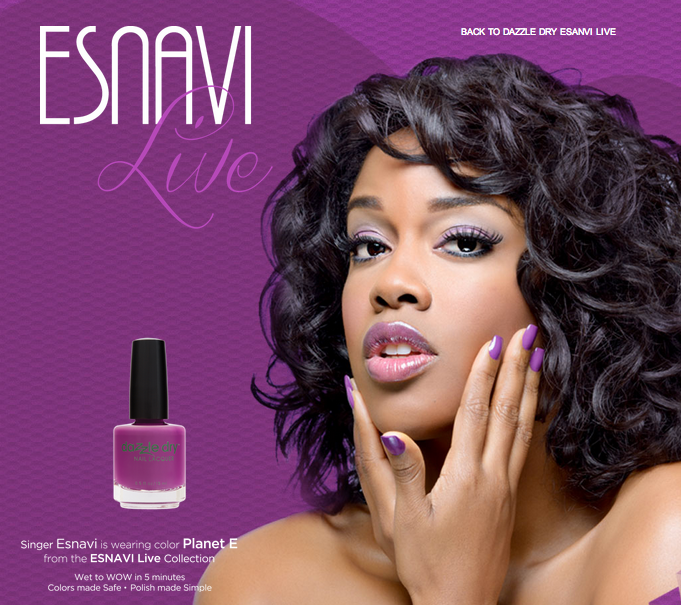 Scheduled to be released on June 11, 2013 is the Esnavi Live Collection that includes a limited edition nail polish set. This collection includes 3 colors personally chosen by singer/songwriter Esnavi -- Oh My!, Planet E, and Morning Dew -- all of which were named after her songs from the album Exit E.
It is my pleasure to be able to show you these beautiful colors before the launch. Let's start with Dazzle Dry Oh My!. It is a creme peachy color and it took 2 coats for complete coverage. Formula is really great and application is very manageable. If you like subtle polish colors, you might want to get your hands on this. It is a good alternative to nudes. This next color is a shade I am beginning to appreciate more. It actually reminds me of my good friend Grace whose favorite color is purple. Anyway, this is Dazzle Dry Planet E in 2 coats. A lovely creme and opaque purplish polish with excellent consistency. I had no problems with application. This shade is definitely a keeper. You guessed right if you thought that I saved my favorite for last. Dazzle Dry Morning Dew looks stunning. I have been lemming for more greens on my stash and Dazzle Dry have been coming up with delicious greens! Remember Me d' Forest Queen from the Faerie Fantasy Collection? Back to Morning Dew, in photo is 3 coats of this gorgeous semi-sheer lime green nail polish. Formula is great but application is streaky. Make sure each coat is applied lightly to avoid rubbing off the previous layer. To know more about this collaboration, please visit www.dazzledry.com/esnavilive. Disclosure: Items were received for impartial review. 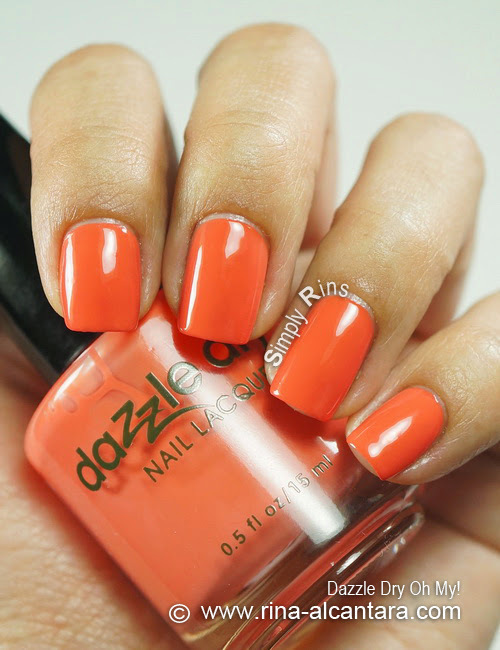 Dazzle Dry you are killing me! Two new greens when I've just bought an entire range of colors??! >_< I love this set! My favorite is of course the green. Thanks for the swatches Rins!